Running BBQ Business up for auction! Restaurant equipment, BBQ pits, restaurant supplies, walk in coolers, tables & chairs all convey with the property. The restaurant is 1596 sq/ft, has sufficient cooking & preparation areas, a small living area, 2 walk-in coolers, 8 large BBQ pits, drive-thru window & .95 acres of land. 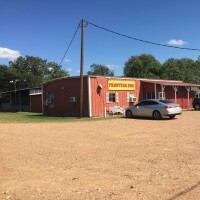 Frontier BBQ in Edna, TX is being marketed for sale, via the auction method of marketing. Tentative Auction Date is Thursday, December 6, 2018. Seller is accepting pre-auction offers & reserves the right to accept, counter, or reject offers before, on, or after auction day. The list price is the opening bid price on the property. There is a 10% Buyers Premium associated with the sale of this property. Heather Kaspar is a licensed auctioneer (TXL 17037) & a licensed Realtor with the state of Texas. She can be reached at 979.421.0325 (text/call). The property offers 1.384 acres per Liberty CAD with an approx. 1200 sq. ft. building in front of the property and an approx. 900 sq. ft. building towards the back of the property. The property also has an appointed area for a mobile home or travel trailer space with separate electrical. The 1200 sq. 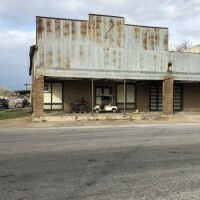 ft. building was formerly utilized by the Sellers as a Restaurant. The restaurant equipment has been removed and the building is being utilized as a temporary residence. 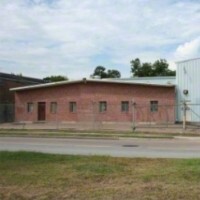 Prime location on Highway 321 minutes from Dayton, Texas and US 59 North to I 10 East SH 99/Grand Parkway Toll Rd. future extension. The property offers 1.384 acres per Liberty CAD with an approx. 1200 sq. ft. building in front of the property and an approx. 900 sq. ft. building towards the back of the property. 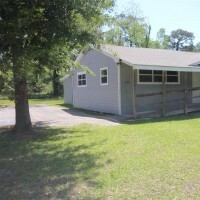 The property also has an appointed area for a mobile home or travel trailer space with separate electrical. Must See! 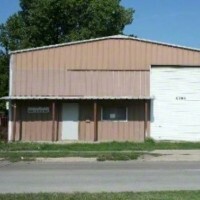 Conveniently located and recently renovated building located in the City of Cleveland, Texas. 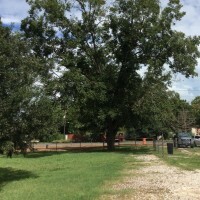 Enjoy the comfort of spacious rooms, wood floors, fresh paint, recent roof, asphalt parking, fruit and pecan trees. Plenty of room for expansion and additional parking for any small business.